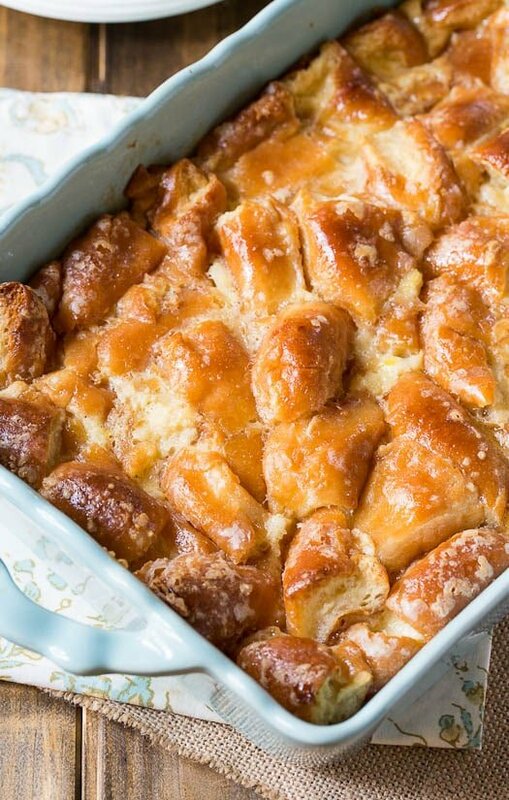 This biscuit bread pudding is every bit as delicious as my popular Krispy Kreme Bread Pudding Recipe. I made a toffee-flavored sauce from dark brown sugar, butter, and heavy cream to drizzle on top. 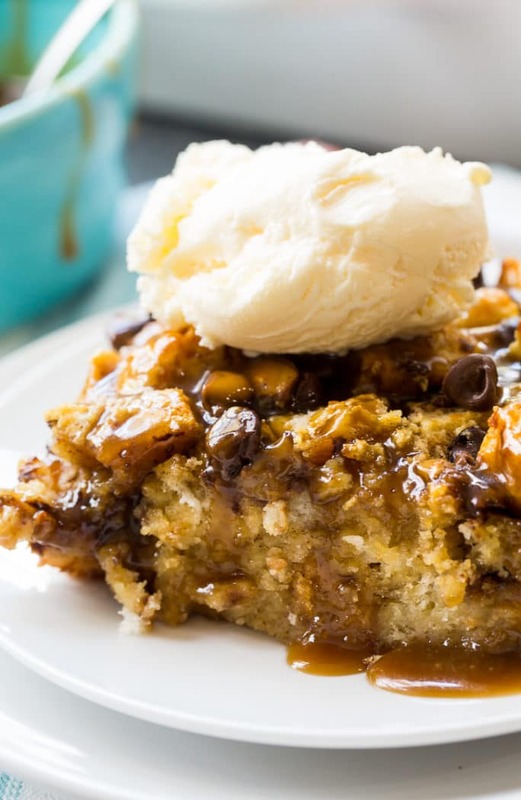 Serve it warm with a scoop of vanilla ice cream and you’ll think you’ve died and gone to heaven. Last month I visited the Bojangles Test Kitchen in Charlotte, NC. 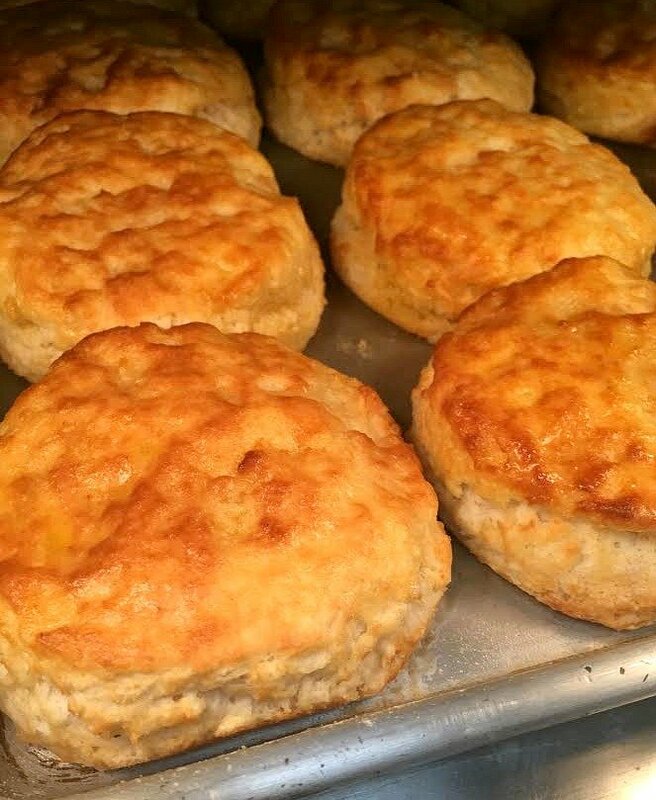 We got to try our hand at making a batch of Bojangles biscuits. They are still made fresh by hand in all of their restaurants. And then we got to try our hand at making our own biscuit creations. 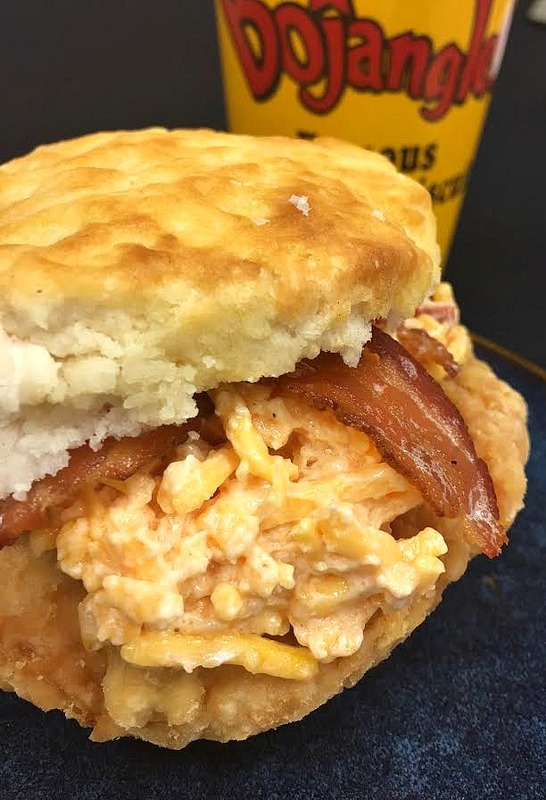 Here’s one with a cajun chicken breast, bacon, and pimento cheese. 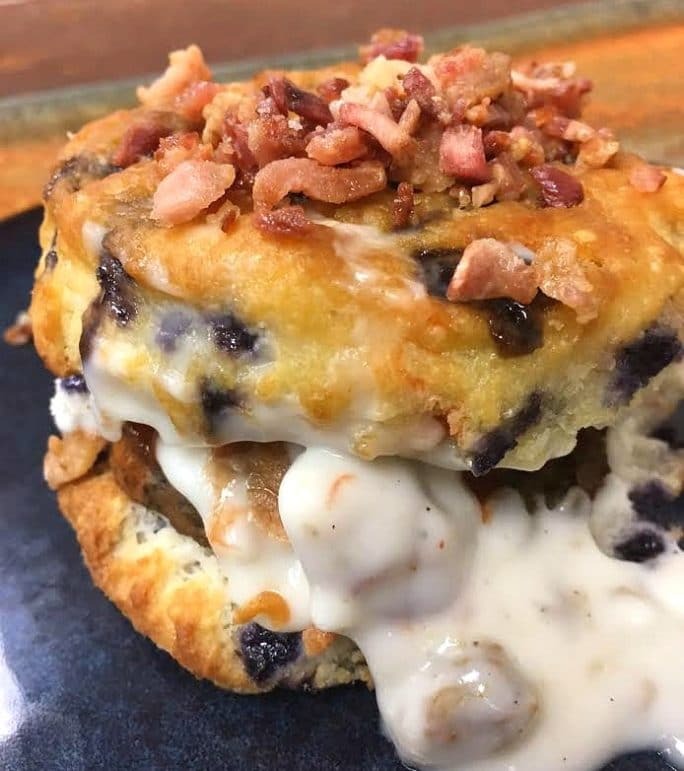 And here’s one with a B0-Berry Biscuit, sausage, sausage gravy, bacon bits, and hot sauce. The sweet/savory/salty/spicy combo is incredible! 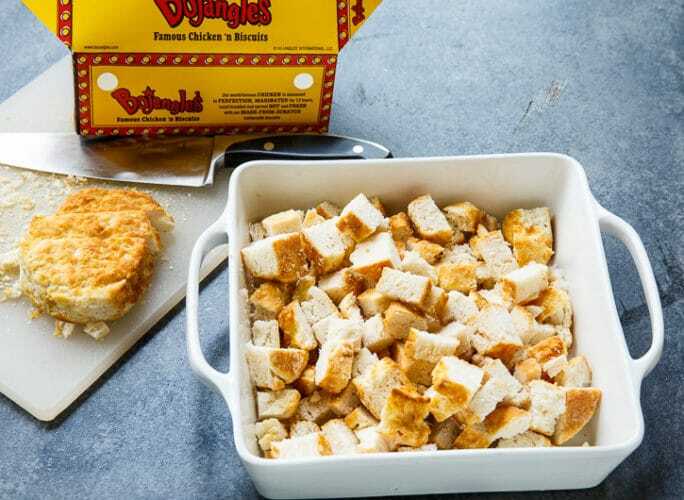 There’s nothing like the taste of a fresh Bojangles biscuit and when they’re past their prime, you can turn them into bread pudding. No need to let any biscuits go to waste! 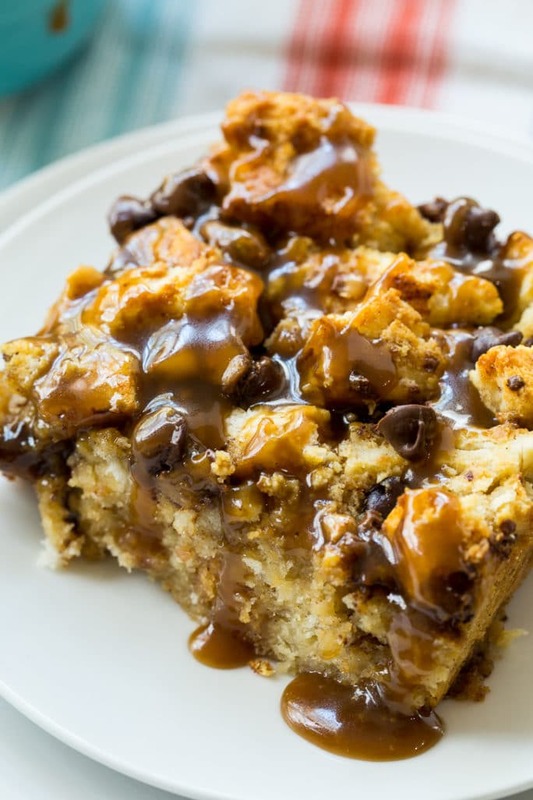 I think I like this bread pudding more than one made with stale bread. The biscuits create the most wonderful texture. It gets crispy on top, but stays plenty soft in the middle. Turn stale, dry biscuits into the most delicious toffee-flavored dessert! Place biscuit pieces in a greased 8-inch baking dish. 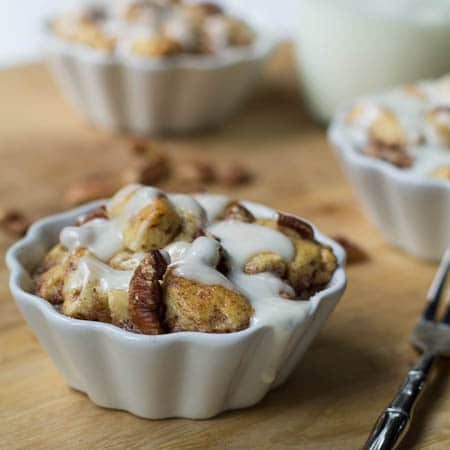 In a medium bowl, whisk together eggs, milk, heavy cream, dark brown sugar, vanilla and cinnamon. Pour mixture over biscuits. 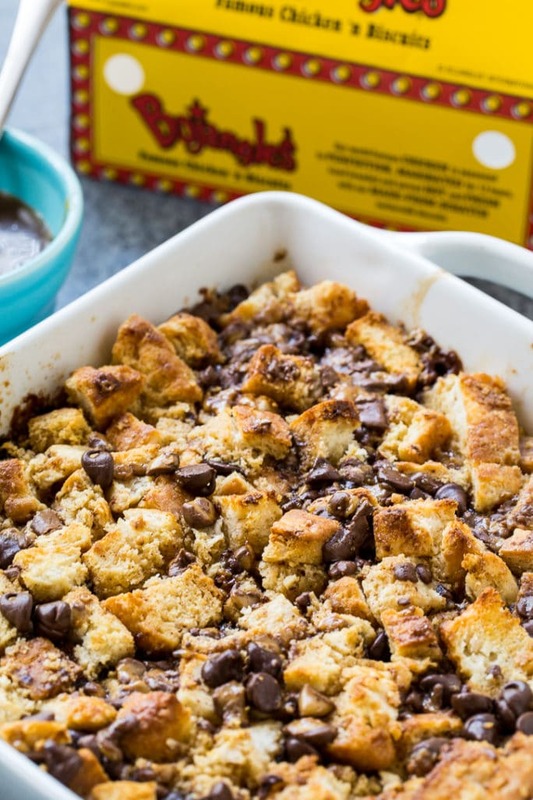 Sprinkle toffee bits and chocolate chips on top. Use a wooden spoon to press biscuits down into liquid. You want the top pieces to soak up liquid or they will bake up dry. Let sit 20 minutes. 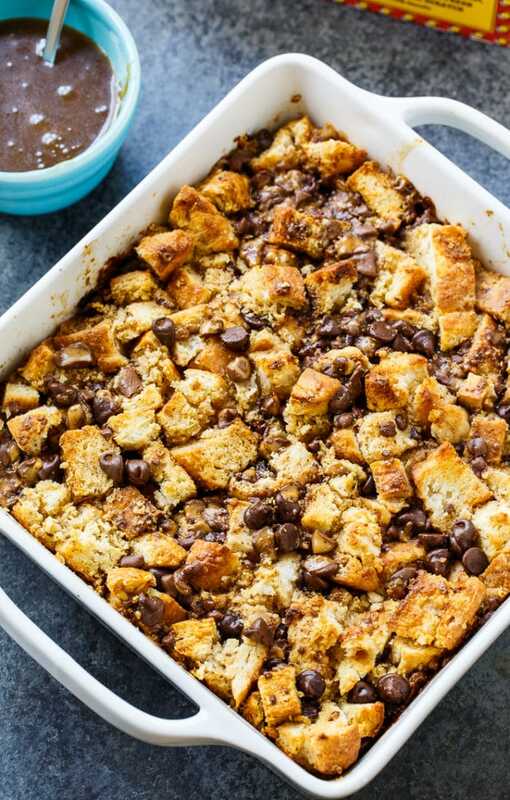 In a small saucepan, bring butter, 1/2 cup dark browned sugar, 1/4 cup heavy cream, and 1/2 teaspoon vanilla to a simmer. Whisk for 3 to 5 minutes, or until thickened. 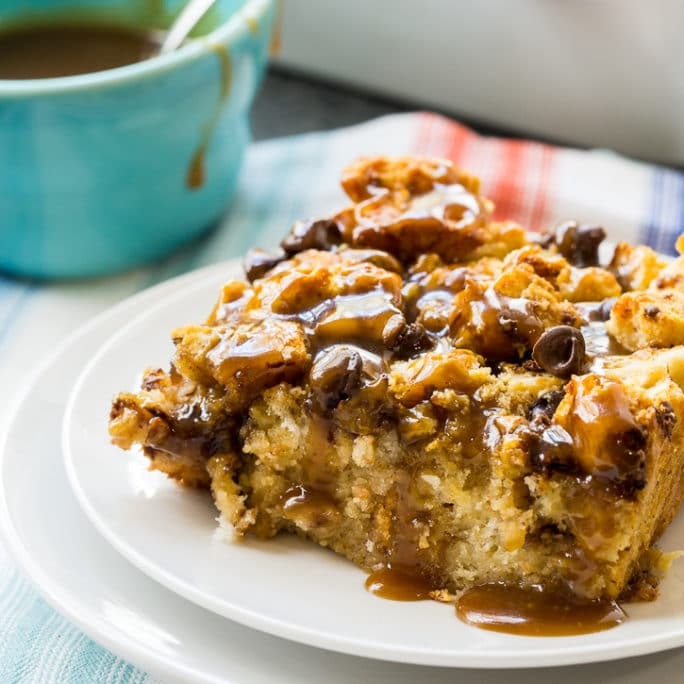 Let cool slightly before drizzling on bread pudding. Store leftovers in refrigerator and reheat before serving. This entry was posted in Desserts and tagged biscuits, bread pudding. Bookmark the permalink. This is great! I substituted soy milk because of my dairy allergy and it was a big hit! This was the best bread pudding i’ve ever had. This looks SO decadent! I would be all over this with a big scoop of vanilla ice cream! 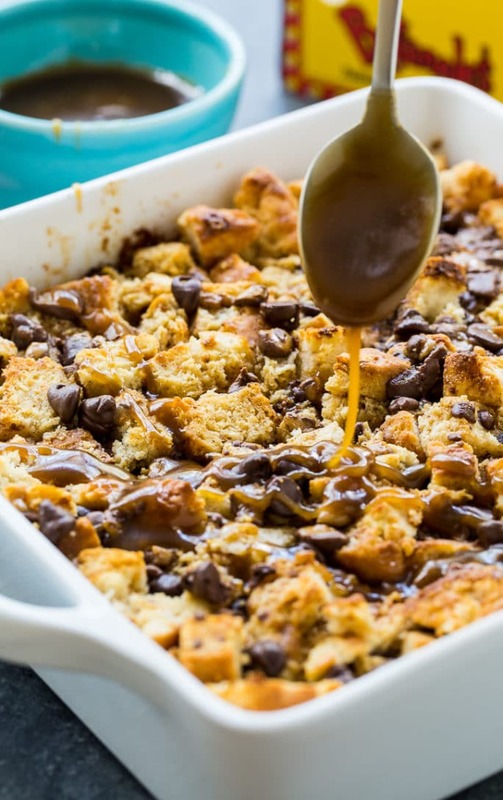 It’s been way too long since I’ve made bread pudding! And I’ve never tried it with biscuits before, so this is such a great idea. Love the toffee flavor, Christin!